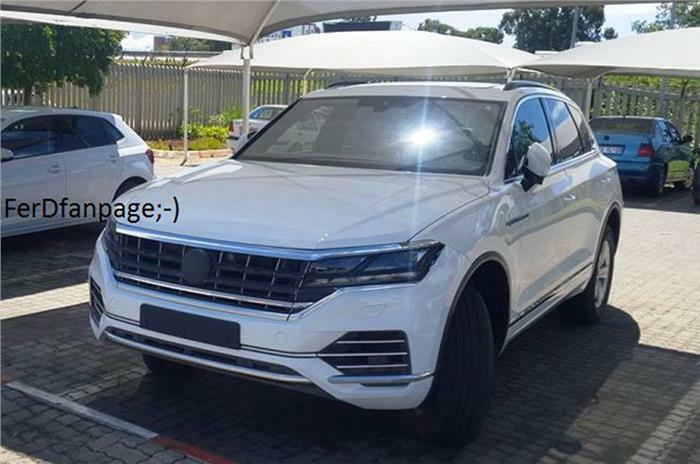 Volkswagen is preparing to launch new Touareg SUV soon and before the car enters production in November this year, the car will be unveiled. As we reported earlier, a test mule was spied without any camouflage revealing the upcoming car’s design. It appears the new Touareg has been extensively inspired by Volkswagen Tiguan and the Volkswagen Atlas as well. The 2017 Volkswagen Touareg SUV becomes more premium and stylish compared to its predecessor. This premium SUV will lock horns with rivals like BMW X5 and Volvo XC90 in global markets. However, it doesn’t have any chance to be launched in India. 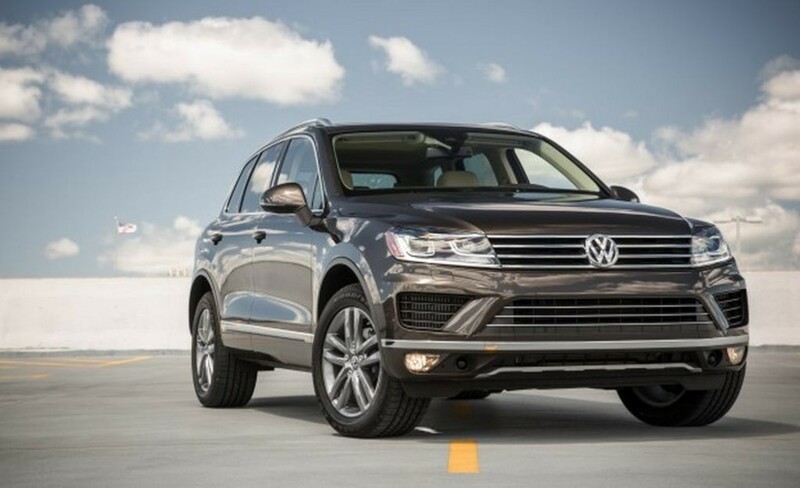 The changes incorporated to the new Touareg include sharper and much more angular looking headlamps, a new larger front grille with plenty of chrome garnishing and trimmer taillights. This upcoming SUV will have new design alloy wheels, refreshed bumpers both at front and rear. Not only exterior, inside the cabin too it becomes more premium thanks to the introduction of improved quality seat and upholstery material, an updated and larger touchscreen infotainment system. Expect it to offer more comfort to the occupants and addition of new features will ensure extra premiumness. On the powertrain front too, upcoming Volkswagen Touareg will get some update. It will receive a plug-in hybrid powertrain. This powertrain is likely to be capable of kicking out 386 hp of peak power and massive 700 Nm of peak torque. Expect it to be able to run in pure electric mode for up to 80 kilometre and it will also deliver impressive fuel efficiency around 33 kmpl. Apart from the plug-in hybrid powertrain, the new Volkswagen Touareg will also continue drawing power from fossil fuel powered engines that include turbocharged petrol and diesel engines. The car gets four-wheel drive system as a standard feature. Overall, Volkswagen has left no stones unturned in making the new Touareg a very desirable premium SUV.